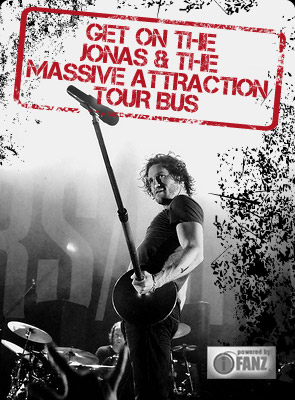 Jonas & The Massive Attraction will bring the LIVE OUT LOUD TOUR to Club Soda for a highly anticipated hometown performance in Montreal on Friday, December 13, 2013 at 8:00 Pm. A EXCLUSIVE limited time offer PRE-SALE starts TODAY at the special price of $27.50 (tax included/plus surcharges) and runs until Monday, October 21, 2013 at 10:00 Am when the price will increase. GET YOUR Pre-sale tickets at BUY NOW. Tickets go on sale to the general public on Monday, October 21st at 10:00 Am! Tickets can be purchased at the Club Soda box office (1225 St. Laurent Blvd. ), by calling 514-286-1010 or on-line at www.clubsoda.ca.